Our instructors are your neighbors, friends, and family. They are people who participate in our community and share their knowledge, experience, skills and interests. 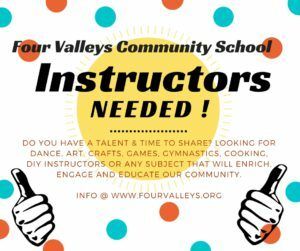 To be an instructor for Four Valleys Community School, you simply need to want to share your love of a certain subject, skill, or experience. Enrich, engage and educate your community! Call our office or e-mail; we would love to talk to you! 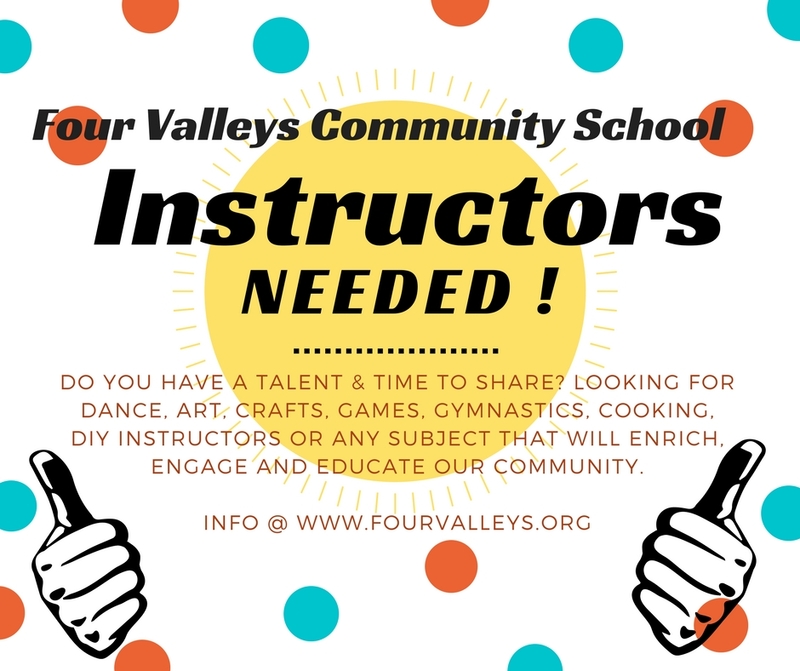 907.742.5317 or cmcdermott@fourvalleys.org.